Early June is tulip season some years. It changes every year. The accompanying photos are from another blog I have and with them I had this quote. Mary MacADNski: Not wishing time away, I can't wait to see this annual display again. Mary MacADNski: Blooming at different times too. Que c'est beau ! J'adore le mélange de toutes ces couleurs. Mary MacADNski: If you look you can see that different colours are meant to bloom at different times. Mary MacADNski: An annual tradition. Such gorgeous images - love the poem! Mary MacADNski: This past two weeks have been like that quote. 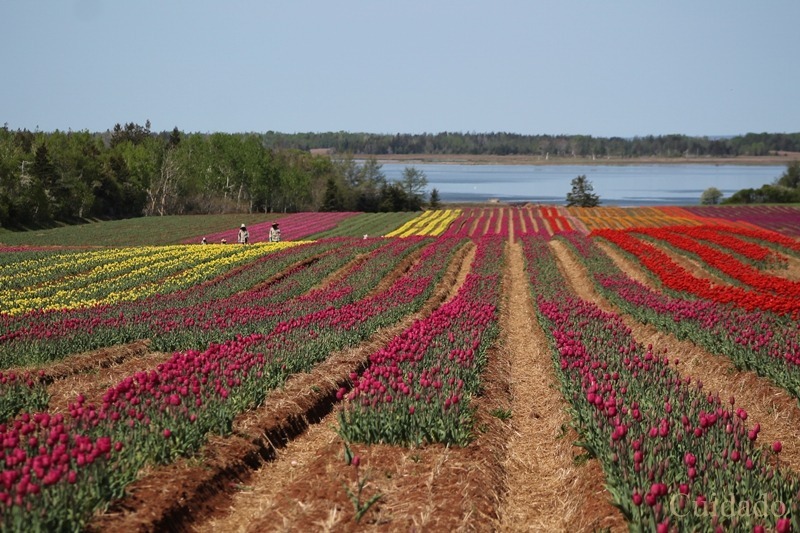 Mary MacADNski: They are meant to provide tulips in winter after being placed in greenhouses in the autumn. Wow - this is spectacular! Mary MacADNski: An annual display around here. Who ever would have guessed you could have a very DUTCH look there on your island, Mary. OMG. Mary MacADNski: We have a large number of Dutch immigrants here and most farm one way or the other. This farm grows potatoes as well. Like a factory floor Mary. Mary MacADNski: It absolutely is. Japanese workers in the shot were removing diseased tulips and were covered head to toe in hospital-like protective wear. 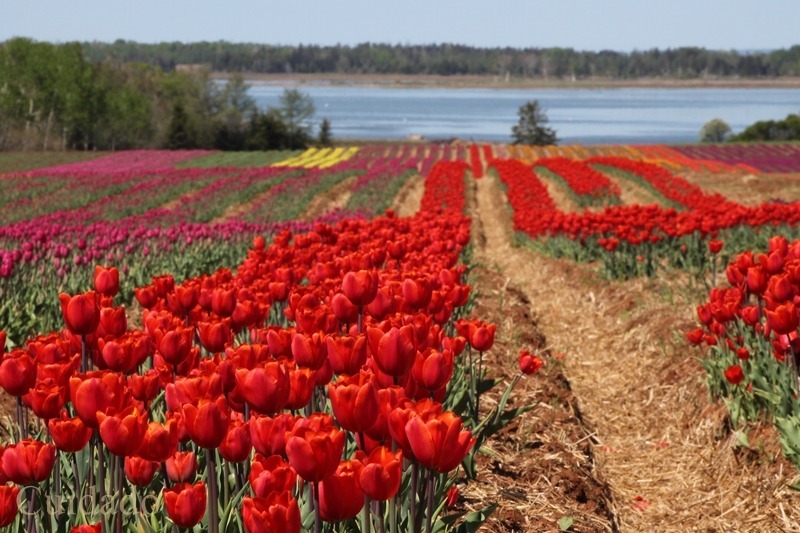 That is a lot of tulips Mary. Aren't they glorious? Mary MacADNski: I love my annual trip to their fields. A beautiful trio of pictures and very suitable words. Mary MacADNski: Thanks Brian. Still listening to birdsong. i love the first shot, Mary. lovely colours in belts. Mary MacADNski: That first shot showed a wider depth of field. I like it best too. I thought this might be Holland initiallly Mary. What a wonderful carpet of colours. Mary MacADNski: There are a lot of Dutch people on the island. This is just fabulous, those colours great quote with it too... What a joy to see these tulips. Mary MacADNski: This must be commonplace to you. It's a fine scene; I do like the variety of colours that are grown. Mary MacADNski: As you can see, the varieties are times to come up at different times. Mary MacADNski: This might be a common sight for you in Dutchland. Mary MacADNski: Their babies have been inside all winter. Mary MacADNski: The Dutch immigrants brought their skills. Good, eh? Lovely composition in that top picture. It must be a special sight in reality as well. Mary MacADNski: I love the annual display ion June - and the weekly display all winter. The moving thoughts (tulips) next to the still thoughts (lake).